On Mondays I share just a quick word - usually something I have jotted down from my recent readings - to ponder as you face your week head-on. Monday musings, if you will. This week we take our oldest to kindergarten, so of course this is stuck on "repeat" in my head. 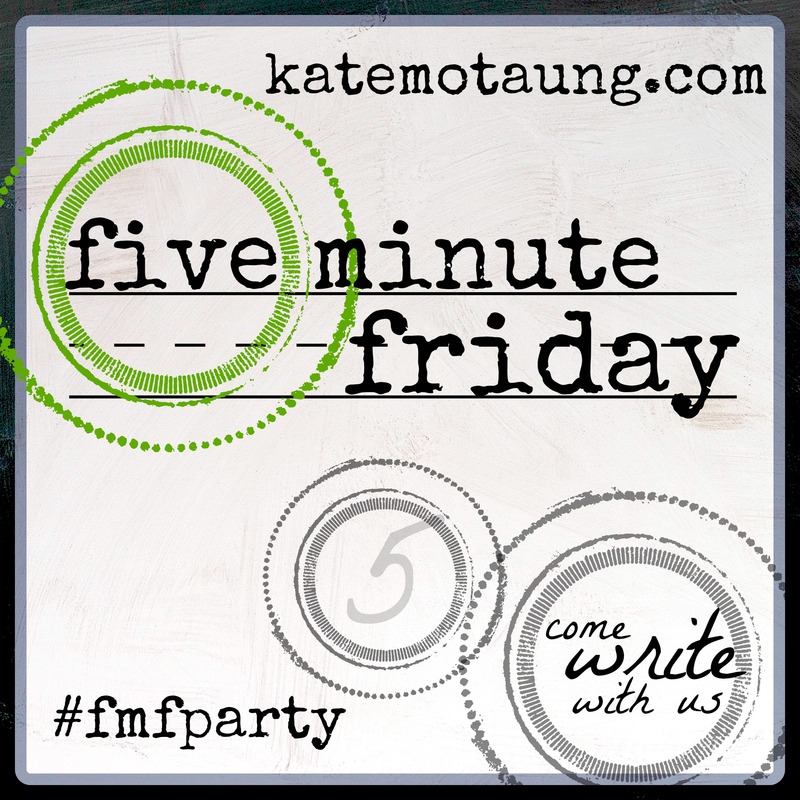 Each week I join the Five Minute Friday community and write for 5 minutes flat on the one-word prompt given for that week. Lots of fun and a little scary to be so vulnerable. This week's word: Change. It's here. The day before the first day of kindergarten. How did we get here so fast?? Everyone keeps asking if I'm ready for this. How could I be? Nothing can prepare you for this. Not just the first day of school, but...parenthood. So I have my tissues, my sunglasses, and a little bit of chocolate lined up. That's my school survival kit. If I just remember to breathe, I think I'll be alright. The funny thing is, this kid...my baby boy... he's ready. He is so ready. Yes, the class of 2027 is already looking promising. Tomorrow I'm going to watch a chunk of my heart walk into his classroom. I'll listen to his little sister say goodbye. She tells me all the time she is going to miss him while he's at school. I will too. But today I was reminded that my little guy won't be there alone. Sure, there will be a great teacher (she's awesome! ), good classmates.... but he knows God is with him. I want to have ears and eyes in the classroom and know everything, but really God knows everything and He loves my boy more than I could ever imagine, and so I'll cling to these promises and just breathe and wait. My boy, he's in good hands, even when he can't hold mine. The "Five Minute Friday" fun has changed a little bit and now we have a new host, Kate Motaung. The "rules" are the same - write five minutes straight on the single word prompt given and encourage someone who shares over here. It's a fun challenge. Though we have a new host, one thing has not changed: I never seem to do this on Friday. Thanks for stopping by! It was one of those morning. You know the ones. The ones where you have had a day, and it's only 8:04 a.m. The ones where you are two cups of coffee in and your eye is twitching from the noise level in your home whose walls are closing in on you. And I had my back turned towards the table where my three kids were eating breakfast and I was scrubbing dishes. I glance over and my three year old has her entire hand sunk into her cup of milk. As if in slow motion she pulls her hand out of the cup and combs her milk-dripping fingers through her hair. The proverbial camel's back was broken. "You can only use sippy cups now! You are not ready for big-girl cups!" I declare as I clean up the mess. Then I look around the table at the six stunned eyes staring at me in disbelief. Now they are silent. Why are they surprised that I am upset?? "Mom," Big brother offers an explanation. "Mom, she was just trying to be like Princess Anna in Frozen. You know how she has a white streak in her hair? She wants to be like that." And now there are two puddles at the table: the milk and my heart. So next time I will ask what they are trying to do. If I ask, I think they will tell me, and we can skip the tears and go straight to the smiles.